Practical solutions for your health, wellness, financial abundance and success. Transform your life and achieve the results you want. Buy books, audios, recordings, health, healing, wellness, mind/body/spirit, the Law of Attraction, conscious creation, financial abundance, fabulous success. 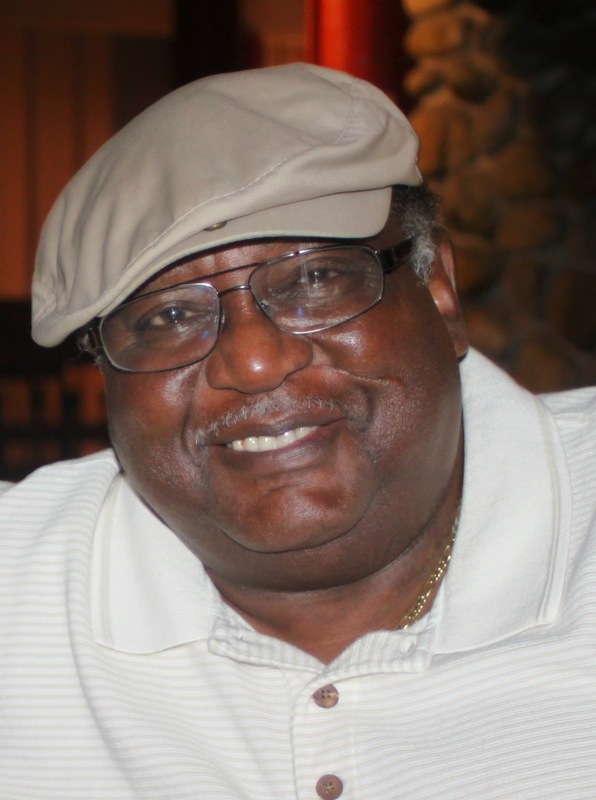 Today's guest blogger is Codis Hampton II, author of the Katara-Rhythm blog and the presenter of the “Hamp's Corner of America” show on Blogtalk Radio. Hamp wonders, since people in the old west decided to stop shooting, killing and burying one another, why is it now okay for people to carry guns? This blog is published as part of the Blogging Carnival for Nonviolence, which is part of the International Week forNonviolence. Details are here. For more blogs, go here. Please share this with your networks. Thanks. I love a good western. The old classics like “The Big Country” with Gregory Peck, “Tombstone” with Kevin Costner or Burt Lancaster playing Wyatt Earp, “Posse” with Mario Van Peebles and too many others to mention here. I try to catch Marshall Dillon-Gunsmoke reruns whenever I can. It’s another classic western TV series. The cowboys, drifters, town drunk, gamblers, barkeeps, and lawmen wore a six gun, carried a rifle or shotgun for defense. Of course, others carried guns to defend themselves against those who carried weapons for defense. Yep, as they used to say, “everybody but our womenfolk is toting". Then again, you can find many women in western yore that not only wore or carried guns on their persons but participated in gunfights. Obviously, I’m old enough to have played cowboys and Indians in the old neighborhood as a kid growing up in Milwaukee. Saturday morning TV was reserved for westerns right after the airing of cartoons. Eventually, the wild west of yesterday progressed. The people in towns like Dodge City, Kansas; Tombstone, Arizona; Deadwood, South Dakota and others got tired of replacing storefront windows. There was entirely too much time spent patching up walls from stray bullets from some drunken cowhand who decided to shoot up the town because - and get this - they wanted to have fun. The locals got tired of diving on the floor every time a gunshot was heard. More importantly, they were tired of burying innocent bystanders, some of them children, who were hit by stray bullets from a gunfight or ranch hand in town on payday to - get this - let off steam. The weapon of choice back then was a six gun normally carried in a holster supported by a belt. I’m not trying to insult the anyone's intelligence here, but that meant the pistol held and could only shoot six bullets, one at a time. So yes, they collectively decided, as most people did across this country, guns should only be carried by law enforcement officials. You could still have your rifle, shotgun or pistol, but they should be carried on hunting trips. Or you could fire weapons for sport at designated areas such as a firing range. Those who wanted to "have fun” or “let off some steam” would have to find other means of excitement. One could say the West, along with the rest of the US, had become civilized. Yep, common sense had prevailed. Fast forward to the early nineteen-eighties and I remember having discussions with people in the Oakland neighborhood about being “strapped.” Unlike the Sixties, when strong disagreements may have been settled by a fistfight, if it came to that, a lot of dudes had taken to carrying pistols. Their overall reasoning was that it was better to have one than be caught without a gun and unable to defend yourself. A lot of the guys were older men. According to them, they were not going to try and box with one of these crazy youngsters who were half their age. And they were not going to take a beating so in the end, they would shoot them. They weren’t looking for a fight, mind you, but was not running from one either. Talk about history repeating itself. Today, from all indications and listening to daily newscast, everybody is packing. The very young to teenagers, young men and women, older and even older men and women have concealed weapons. We are not only talking about areas where the law has changed back to allowing regular folk to carry concealed or un-concealed weapons. This change comes at a time when a fistfight will no longer settle disagreements. If that happens, one has to be prepared to fight the combatant’s entire family. Remember the Hatfields' and McCoys' feud? Currently, there are street gangs, the mentally retarded, your regular and breaking point nutcases, the Mexican cartels, smugglers of people and narcotics, retail store owners, alongside the law enforcement officers. All are carrying weapons of mass destruction. A quick glance into their eyes reveals they are on the edge. They are not alone; the entire public is on the edge these days. Who knows what will set someone off? Yet there is one enormous difference from the days of the western yore and today. You know them by name; they are called Uzis, Glocks, Military Assault Rifles, and other weapons that can fire 17, 32, 55 or some other ridiculous number of rounds per minute. These weapons are made for killing people not game. Given the national death rates by gun violence, mass murders, daily reports of shootings by whomever in an attempt to kill somebody or a bunch of people, we can truly say that we are back in the Wild, Wild West. It doesn’t matter if you are in the east, north, or south, the terminology still applies. How can we, who call ourselves an evolved society, protector of human rights, and respectful of life and death allow such hideous crimes by criminals, psychopaths and the like? Not only do we seem helpless in curbing violence in our neighborhood streets, schools and other public places, but have watched a growing problem become more commonplace. It seems on a monthly basis, some civil servants or individuals across the U.S. have begun using their weapons and or professional skills (choke holds) to attack and even kill the innocent without fear of retribution from the authorities, we the people, put in place to ensure these types of acts do not happen in the first place. We still have the means of checks and balances to change the system but are reluctant to do so because? When hiring officials place policemen in our communities who are ill-trained, carry real or imaginary grudges against certain individuals, or listen to and are guided by superiors who are worse than gangsters themselves, that is a recipe for “soft singing and flower bringing.” In other words, what follows is a funeral. You feel me? In honor of Black Women for Positive Change & International Summit Council’s August 16-23, 2014 “International Week for Non-Violence,” we support such a worthy and community directed cause. We as a society have to ensure that we are our community and nation's conscience. And as such, will take the necessary action to put individuals in place that respect the rule of law and order being the same for one and for all. We, in the community, have to let the neighborhoods thugs know, by legal means that their type of terrorism will not stand. We can no longer stand by and watch innocent babies being shot or die because they were caught in the middle of a gunfight while playing in the park. We as parents must show our children what it is to be loved and, just as importantly, how to love one’s self and neighbor. How we should respect the wishes and rights of others like we would want them to treat us. In short, we are responsible for the type of environment we live in. If not us, then in God’s, name who? Please check the following link for information and blogs regarding the International Week for Nonviolence. Peace, make it a day in which Jesus Christ would be proud of you.